The game’s Producer Romain Ginocchio answered some of our questions about the game. 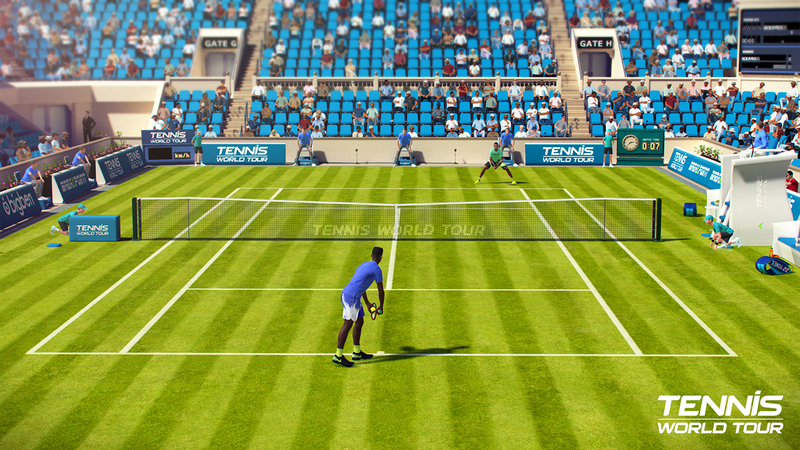 Tennis World Tour is a game developed by Breakpoint which aims to achieve a standard of ultra-realism. This is evident in the animation of the game and the unique playstyles of the different players. While the game aims to be accessible, it still offers a lot of depth as players master different tactics so as to achieve victory. To learn more about the game and its development, Gamingbolt reached out to the developers with some questions, and the game’s Producer Romain Ginocchio provided the following answers. "When we created the Tennis World Tour franchise, our first goal was to address this baffling lack of Tennis simulation games." In the midst of so many different sports titles that release year in and year out, Tennis titles have felt kind of wanting. Do you feel like Tennis World Tour addresses this gap? When we created the Tennis World Tour franchise, our first goal was to address this baffling lack of Tennis simulation games. But we also wanted to bring another experience to the players: a denser gameplay, a more strategic level of play and a much more advanced career mode. 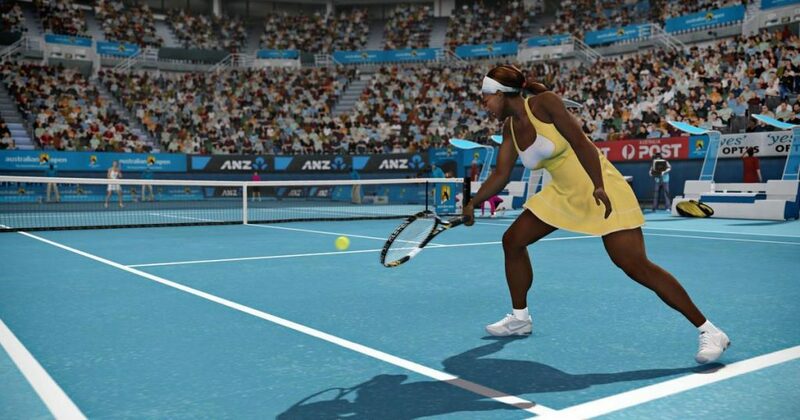 We think fans are eager to have a substantial tennis game to play on consoles again. 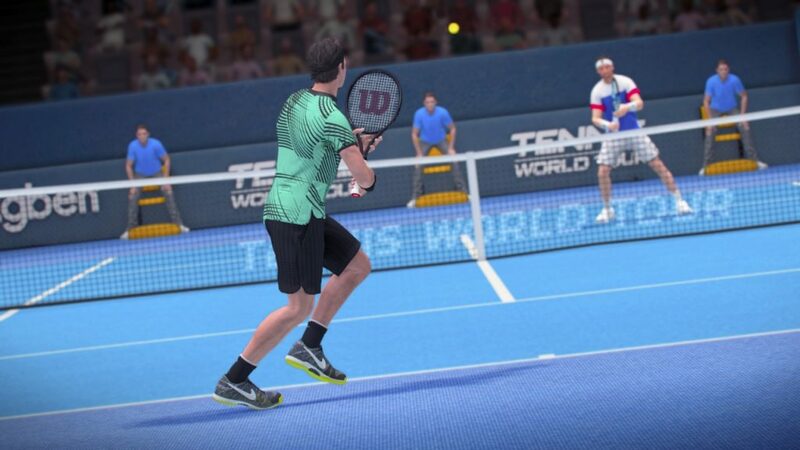 Tennis World Tour is meant as a spiritual successor of sorts to 2K Games’ Top Spin franchise. What were some of the challenges to getting a project like this off the ground? The biggest challenge was undoubtedly the animation. It’s a pretty tough process because unlike other types of games, you can barely start playing a tennis game before you nail down the animation system with thousands of mocaps, which takes months of work! Also, Top Spin is renowned for its rich and perfectly fluid animation system, so the standard was pretty high. But, as counter-intuitive as it may sound, we didn’t focus on fluidity first. We wanted to fix one major flaw of all the tennis games we’ve seen: the players’ animations are not real tennis animations. In games, players tend to have a kind of “waiting for the ball” stance with the arm raised in the air, ready to hit, but it doesn’t look like that in reality, where players start preparing their swing and start running to the ball at the same time. This choreography is very specific to tennis, and it’s very complicated to replicate in a game while allowing the player to choose their swing type even at the last moment. We’ve watched hours of tennis games on TV and what we’ve got in Tennis World Tour really looks the same. What is it about Tennis World Tour that will differentiate itself from Top Spin? First, the gameplay is more accessible. We wanted to avoid the hours of training that you had to undergo before actually hitting the ball in TS4. In Tennis World Tour, you can pick-up the controller and have fun right away. It’s also much easier for a rookie friend to partake in a quick match with you without a lot of training. Second, being a d-pad master is not the only way to the success. We’re not focusing so much on perfect timing so much as on placement, risk-taking and strategy. It also gives the game much more density in the long term because there are many more ways of improving your gameplay than simply tapping the d-pad perfectly. We also developed a realistic career where you have to master your form along the season, be mindful of jet-lag when playing tournaments around the world, avoid injuries, hire your staff, build and improve your character, etc. And last but not least, we created a skills system which adds a new layer of strategy in the game! What kind of career mode can we look forward to in the game? We know that there will be over 30 playable Tennis legends available. The career lets you build your own player along multiple seasons and advance them up to the No. 1 world ranking. We particularly developed some very important aspects of the life of a real pro player that are strangely not very well known by the public. You can’t play all the tournaments in a season if you don’t want to be exhausted. You have to keep enough form to avoid injuries that could prevent you from playing the most important tournaments. Tournaments cost money so you have to manage it wisely. But pro players aren’t only playing tennis: they also rest, participate in charity events, train specific aspects of their play-style, etc. You have to hire your staff so it corresponds to the gameplay archetype you want to develop: a coach will unlock new skills and raise specific stats depending on his own personality, and your agent will allow you to participate in better and more rewarding non-playable events. Could you tell us more about the Skill Decks that each player will have and how we’ll go about learning new skills? Skills are unlocked by playing matches and leveling-up your character. Some very specific skills are unlocked directly by keeping the same coach long enough so he can teach you his pro tricks! You can build your deck by selecting skills before the match. They can be used to balance your archetype and compensate some of your weaknesses, or on the contrary, make your strong points even more overwhelming. The skills will trigger under certain conditions during the match, but there’s an element of risk which can create turning points in the matches, just like in reality! In terms of realism, how did you ensure Tennis World Tour lived up to the promise of being an “ultra realistic simulation”? We wanted to be super-accurate on what we represent in the game, so we worked with professional tennis players Maxime Teixera and Guillaume Ruffin during our mocap sessions. Both of them reached the top 150 ATP ranking and are very passionate players. To inform Tennis World Tour’s career, we worked with a pro coach, Boris Valejo, who helped us break down the life of a real professional player. We also worked with a team of journalists and ex pro players who make TV commentaries and asked them to write ours. All these guys gave us a lot of hints on many aspects of the game, so everything we show is perfectly realistic. "In addition to the Exhibition, Career and Tennis school, we have a custom tournament mode which lets you design your own tournament." What other modes will players have to look forward to? In addition to the Exhibition, Career and Tennis school, we have a custom tournament mode which lets you design your own tournament. The ranked multiplayer mode will be available very soon as a free patch, and we can’t wait to see how players will do in it! We’re also starting to work on the Doubles mode, which is a very specific design with its own set of animations and AI, so it’s not as easy to implement as it seems and we want to do it right. After that, we have a number of other modes and additions to the game we’re preparing – stay tuned! What can you tell us about the online multiplayer modes? What is your approach to matchmaking and balancing skill level with connection quality? There is a Quickmatch mode, a Season mode with a global leaderboard and league system based on ELO rankings, and a private game mode to invite friends. The matchmaking is based on the league system for ranked matches, and on character level and a specific ELO value for quickmatches. Various criterions such as connection quality and trustworthiness are also taken in account. Will there be any post-launch content releasing for Tennis World Tour? Can we expect DLC with additional characters and courts? Yes, this is definitely something we’re preparing. You should hear about that pretty soon too! The game is now confirmed for the PS4 and Xbox One, which also means it will support the PS4 Pro and Xbox One X. Can you please let us know the resolution and frame rate it will run at on the PS4 Pro and Xbox One X? Pro and X versions are running at 4K and 60fps. The high framerate is not just a goal we’re aiming to meet; it’s just the condition required for the game to be playable! You can’t follow a small ball that’s so fast it staggers, even at 30fps! And the resolution and frame rate on the base PS4 and Xbox One versions? They’re both at 1080 and the framerate is 60fps for the same reason. Given that you are now working on both the PS4 Pro and Xbox One X, what kind of technical differences did you found between the two? Both systems are very powerful, but the difference between Xbox One and the X is really huge! It was a real pleasure to be able to push all the cursors to the max on this machine. "We don’t have microtransactions or loot boxes in Tennis World Tour. I’m not casting judgment on these systems, it’s just not the way we wanted to do it." We don’t have microtransactions or loot boxes in Tennis World Tour. I’m not casting judgment on these systems, it’s just not the way we wanted to do it. I think you’ve got to build your game entirely around one system or the other, because microtransactions don’t fit within every type of game. The most straightforward things are more graphical power and memory, but for a personal point of view, I’m curious to find more specific novelties that really change how or where you play games. I’m a big fan of the Switch for this reason, so I hope Microsoft and Sony will find new game changers! I don’t think that 60fps should be seen as the ultimate goal. If you want to use the extra power for super-cool features and you need to bring down the framerate for that, I’m cool with that. It’s the same thing for 4K, although it does make a huge difference if you have a big TV. I hope that the players will enjoy playing Tennis World Tour! It’s very different from previous games, so it should be played with a fresh mind. They will discover its richness as they progress and test all the different strategies. We still have some fixes and a lot of new content to offer them, so we’re eager to know what they want the most!